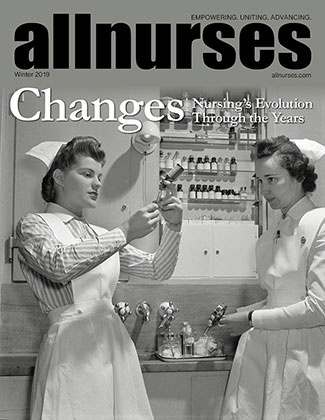 You are reading page 2 of New Nurse... Fired from my first job.. If you want to start from the beginning Go to First Page. I just came across your post and wanted to say that I know how you feel!!! I was fired too!! I was actually forced to resign and it was devastating!! I have never felt so low, It was my first nurse job and after all that school I was so excited and 6 months in I am forced to resign. I was late a lot so I knew it was my own fault but I needed nights and my boss knew this bc I had to drop my son off to daycare and the earliest I could drop him was only giving me 20 min to get to work and it just wasnt happening I was a few minutes late about 6 times. I couldnt believe that instead of just trying to give me nights she would let me go that easy! I was supposively doing a great job and had no other issues but that was reason enough. Its very devastating and I know how you feel and the sad part is that if you put that job as your last job and potential employers see you were there such a short time it makes you look bad but if you dont put them then your a "new grad" again! I am still trying to find a new job and its been months since it happened. Wish I could tell you good advice but I have no clue what to do either.